This year’s Keeneland November sale realized significant gains in all categories, following the trend of growth seen in almost every major North American auction in 2013. Since 2008, the broodmare and weanling markets have been slower to rebound than yearlings, but Keeneland November made tremendous improvement this year and surpassed the entire 2012 gross on only the fifth day. 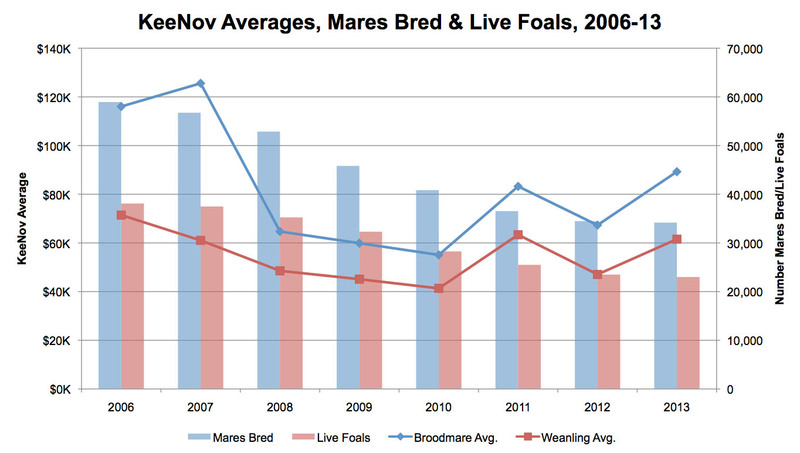 Revisiting the charts from our last blog post, we can see the increased demand in both broodmare and weanling averages. 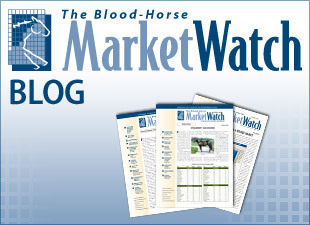 Broodmares attained their highest average since 2007, and weanlings actually topped their 2007 figure by $500 (+0.8%). 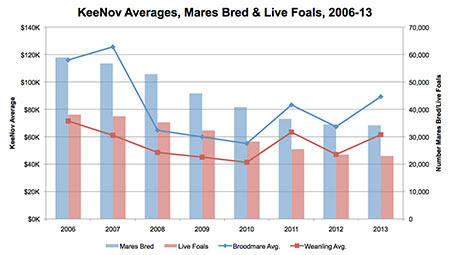 Each group’s growth over 2012’s averages was almost identical: broodmares increased by +33%, weanlings by +31%. As numbers of both mares bred and live foals again declined in 2013, the number of broodmares offered at Keeneland November dropped -7%, and weanlings offered dropped -19%. Despite the fewer offerings, however, the clearance rate was virtually unchanged, increasing from 86% in 2012 to 87% in 2013. The rejuvenated auction market may stimulate an increase in number of mares bred, a figure that has been on the decline since 2006.